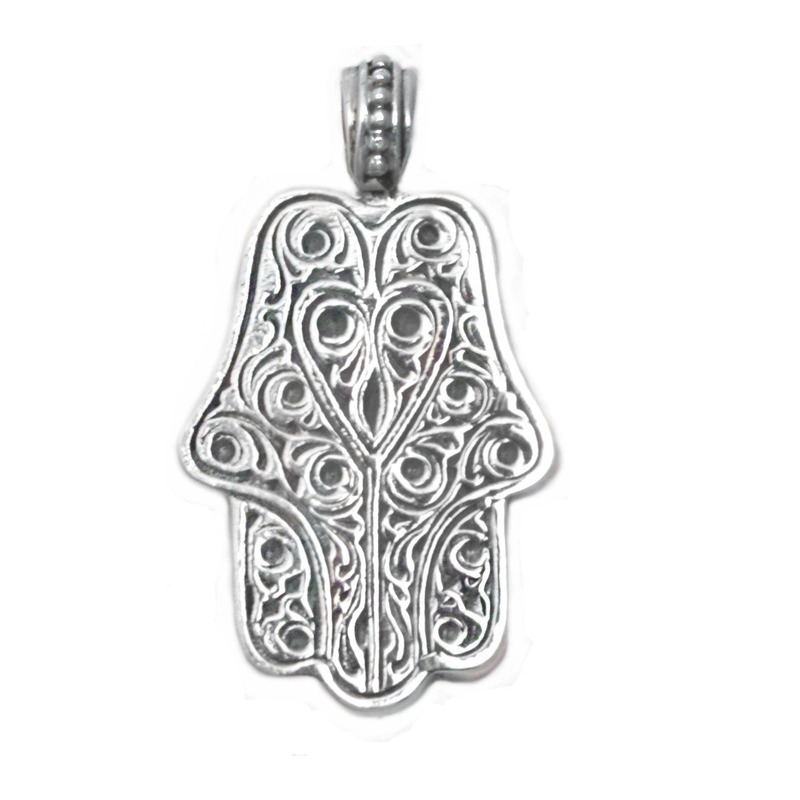 Handmade solid sterling silver pendant, inspired by a Berber Hamsa Hand design. 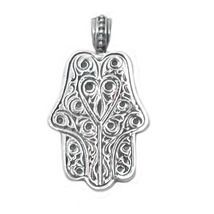 A beautiful, etched amulet pendant, made by Gerochristo. 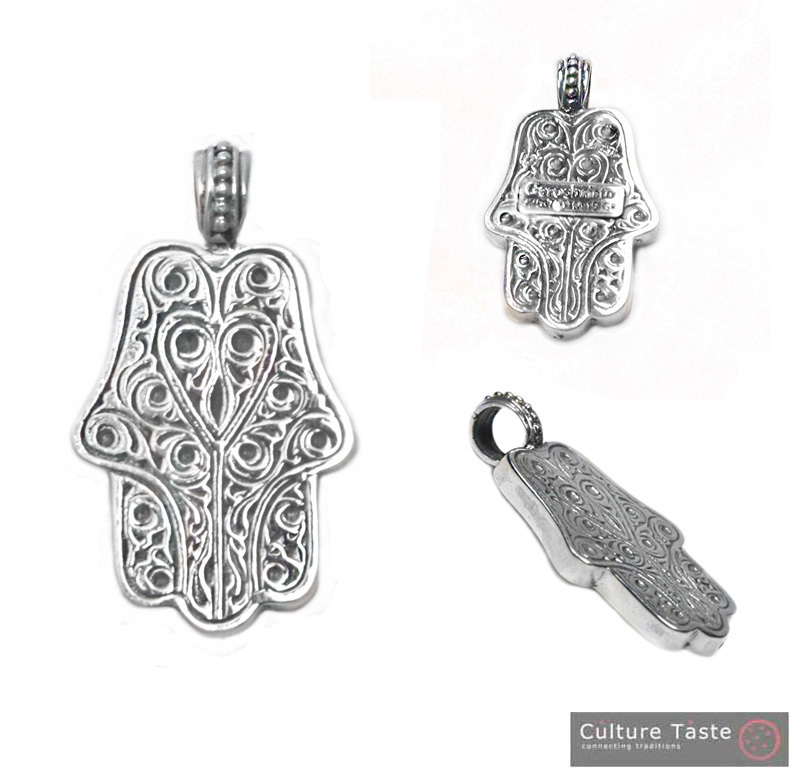 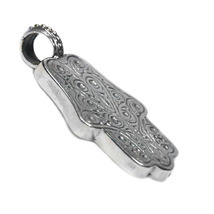 Dimensions Width: about 1.60 cm 0.63" Height: about 2.90 cm 1.14" (bale included in the measurement) Material 925 Sterling Silver About the Hamsa Hand – Fatima Hand Amulet The Hamsa (meaning in Arabic “five” or the “five fingers of the hand”) hand is an ancient protection sign symbolizing the protective hand of God, first encountered in ancient Mesopotamian artifacts. 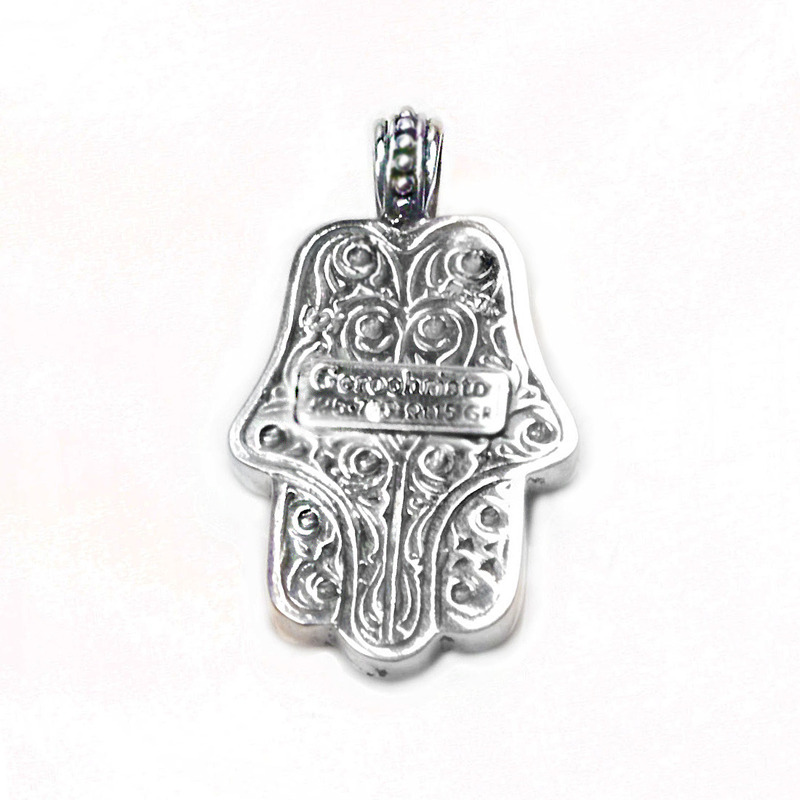 In Islam, Hamsa Hand is known as Hand of Fatima, in Judaism it’s known as Miriam Hand, while in Christianity it’s known as the Hand of Mary. 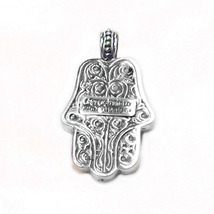 The Hamsa Hand is a widespread in Middle East, Turkey and North Africa amulet in the shape of a female hand. It is widely used in jewelry and wall hangings and it is believed to protect against the evil eye and to attract good luck.